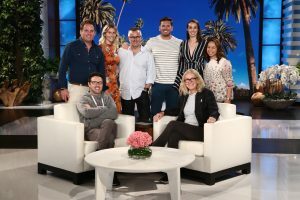 The Fordham Company has formed an exclusive partnership with The Ellen DeGeneres Show Brand Content and Partnerships Team. Now in its 15th season, The Ellen DeGeneres Show, continues to grow its global fan base. Having identified Australia as a strong and growing market outside the United States, the Show’s Partnerships Team have partnered with The Fordham Company to collaborate on digital and in-program commercial integration opportunities. The Fordham Company is one of Australia’s most successful and diverse entertainment businesses, covering celebrity management, television and content production, sports television rights and representing and owning a handful of successful brands, making it well positioned with its entrepreneurial skills to work alongside The Ellen DeGeneres Show Brand Content and Partnerships Team.